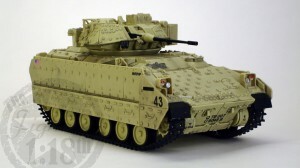 M3A2 Bradley Cavalry Fighting Vehicle | The Fighting 1:18th! Despite this line, and its companion 1:18 scale figures, only being available at Target stores, Unimax’s Forces of Valor: Bravo Team has become a blessing for modern era 1:18 scale fans. Despite not having a lot of “action features” Unimax delivers extremely durable toys with an incredible amount of external details for the right price. The M3A2 Bradley is no exception. 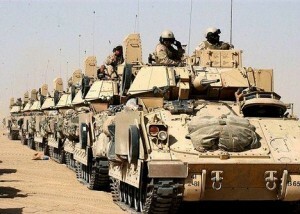 The M2 Bradley IFV (Infantry Fighting Vehicle) and M3 Bradley CFV (Cavalry Fighting Vehicle) are American infantry fighting vehicles manufactured by BAE Systems Land and Armaments, (formerly United Defense). 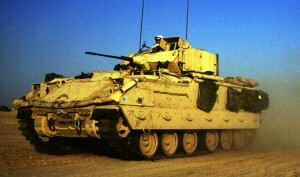 This is an amazing review of the world’s premier IFV. Thank you for posting the great information and photos!